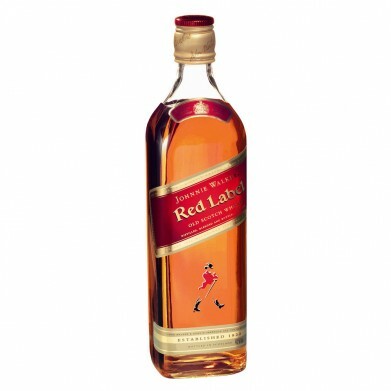 JOHNNIE WALKER RED LABEL .750 for only $23.99 in online liquor store. The nose is quite pungent and full. There are notes of heather roots, cut herbs, a touch of fresh fruits and honey. The palate is quite full and rich. There are notes of malted barley and potpourri, a touch of winter spice and fruitcake. The finish is quite long and pungent, there is a good smoke note with a touch of oak.